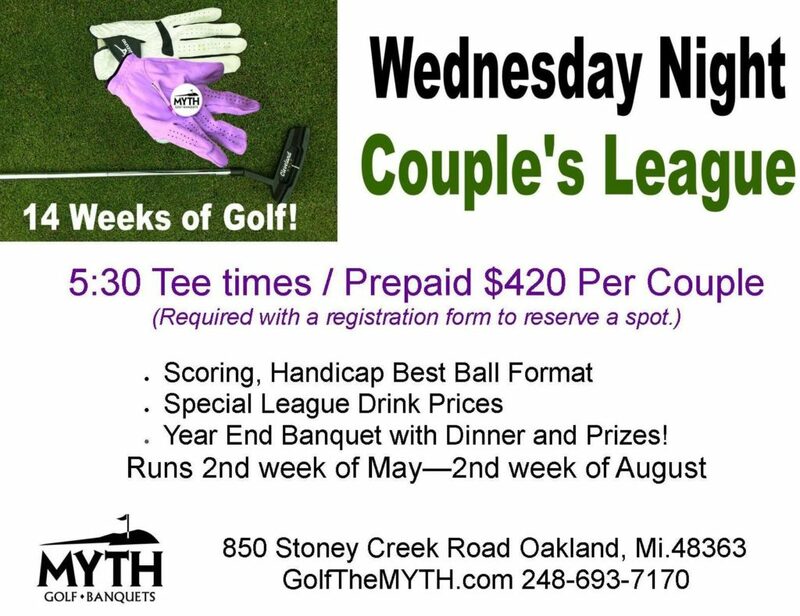 Wednesday Night Couples League- Begins on Wednesday, May 8th, 2019 and runs for 14 weeks. Cost is $420 per couple. Fee includes 9 Holes w/cart for 14 weeks. Varying format between 2 person best ball and 2 person scramble. League scoring and handicaps are managed by the pro shop.